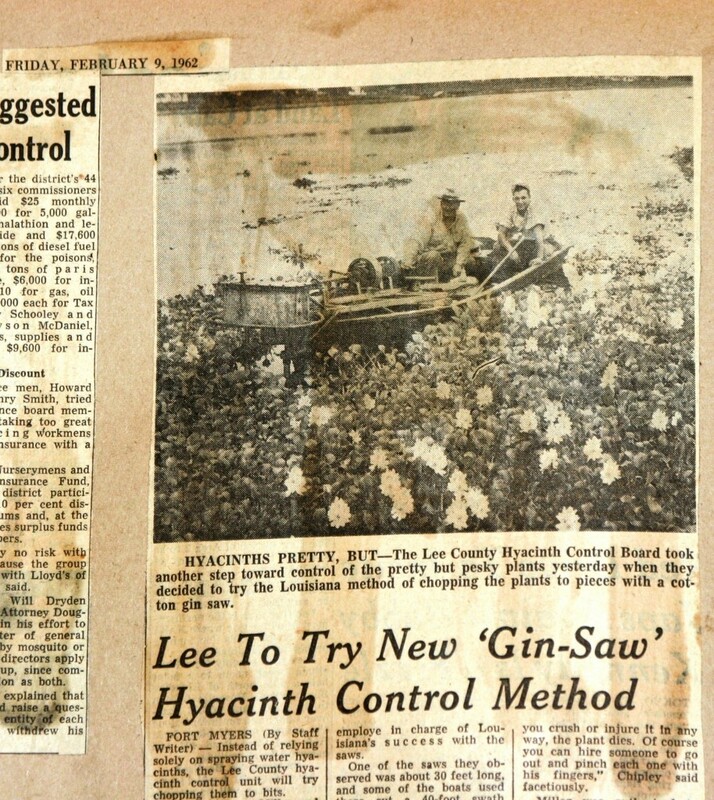 Lee County Hyacinth Control District strives to promote sound aquatic plant management through operations, research and outreach education emphasizing integrated management techniques. 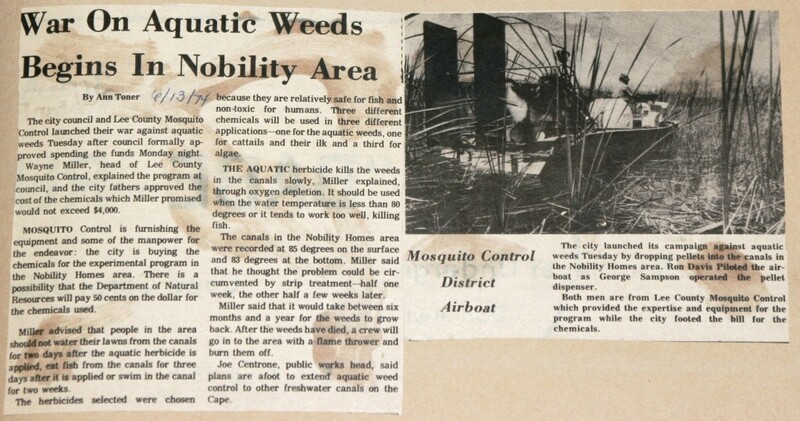 A native of South America, the water hyacinth (Eichhornia crassipes) was introduced to North America in 1884 in New Orleans as part of the World’s Industrial and Cotton Centennial Exposition of 1884-1885 . 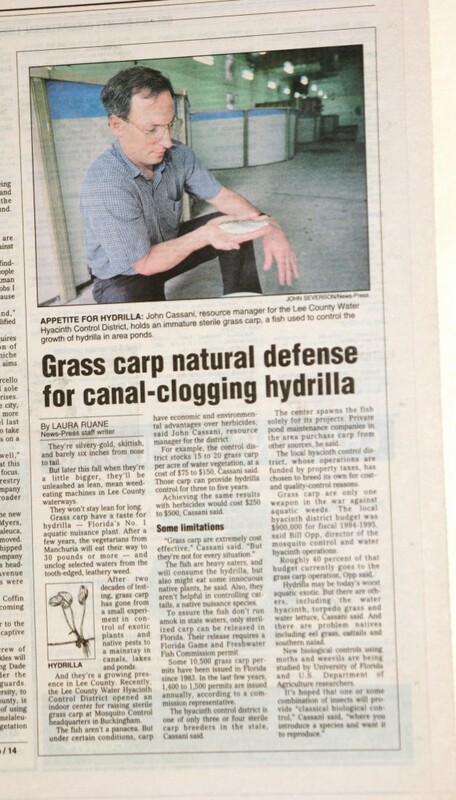 Having an attractive flower the water hyacinth plants were given away as sort of a “door prize” at the Exposition. 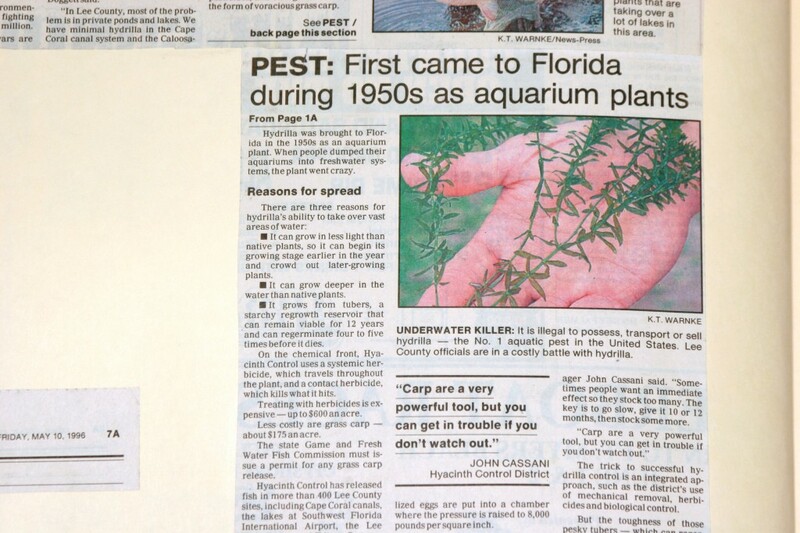 The plant was thought to have been brought to Florida by an attendee of the Exposition in 1890. 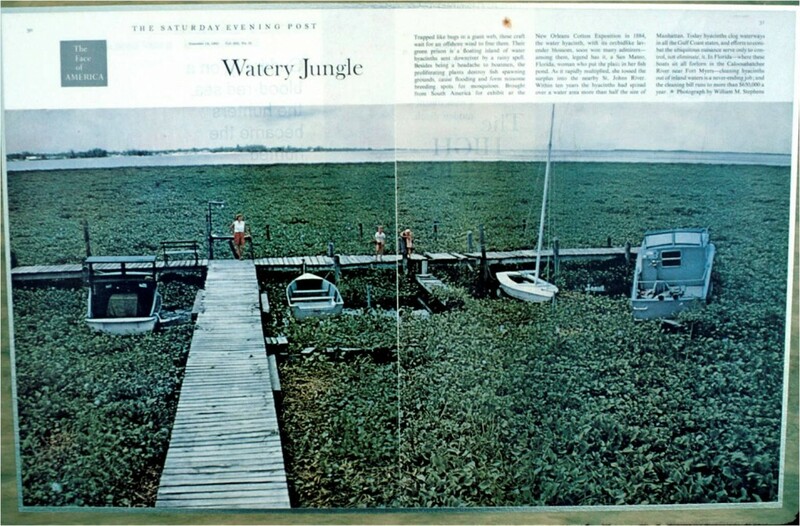 The water hyacinth has since become one of the worst aquatic weed species to plague the state and at times covering well over 100,000 acres of waterways in Florida. Addtional information on the life history of water hyacinth can be viewed at http://www.sms.si.edu/irlspec/eichhornia_crassipes.htm. 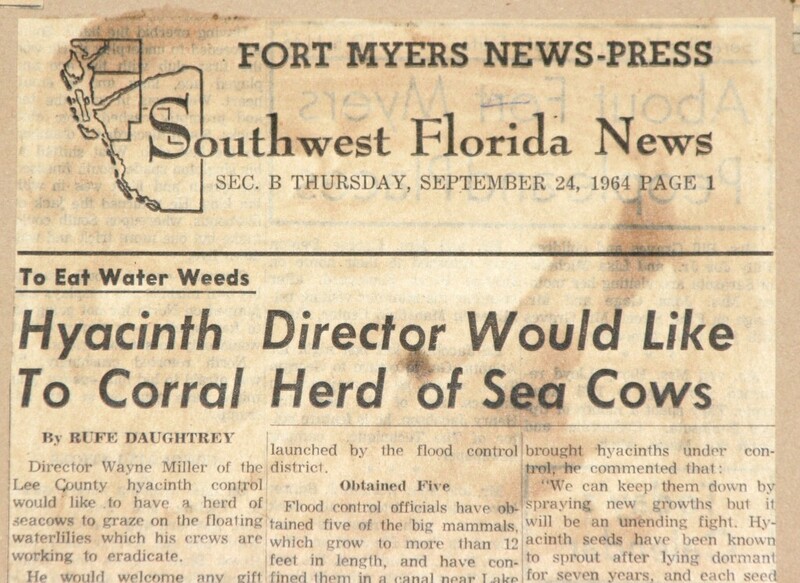 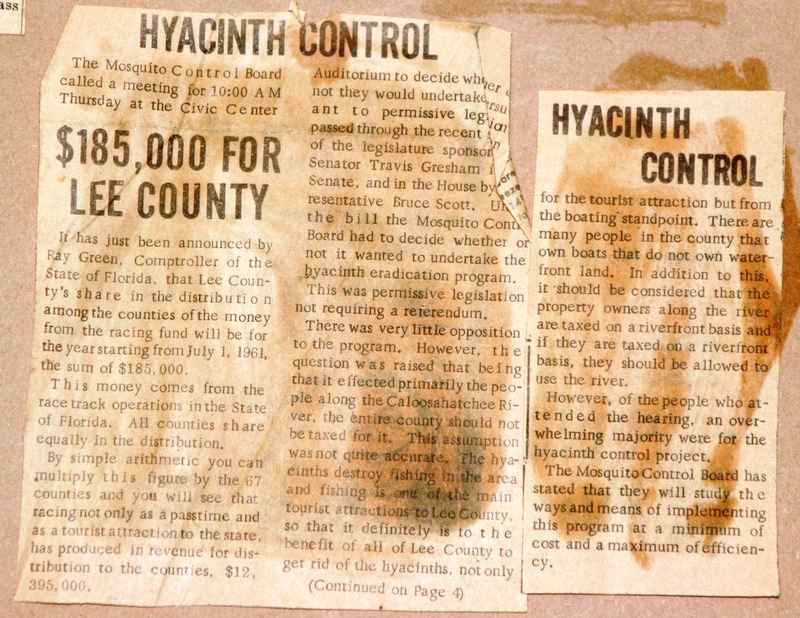 By 1917 parts of the Caloosahatchee River were infested with dense mats of water hyacinth. 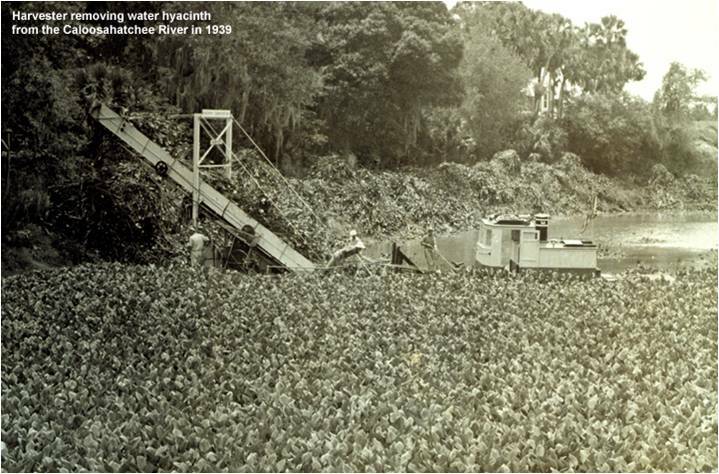 Water hyacinths being excavated from a Caloosahatchee River oxbow in 1939. 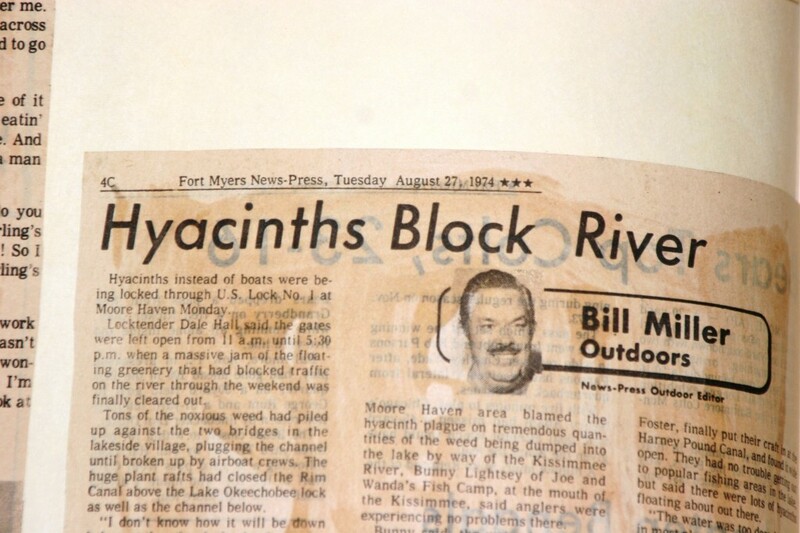 Water hyacinths infesting the Caloosahatchee River viewed from the south bank in the vicinity of what is now the Tarpon Street Pier in Ft. Myers in 1960. 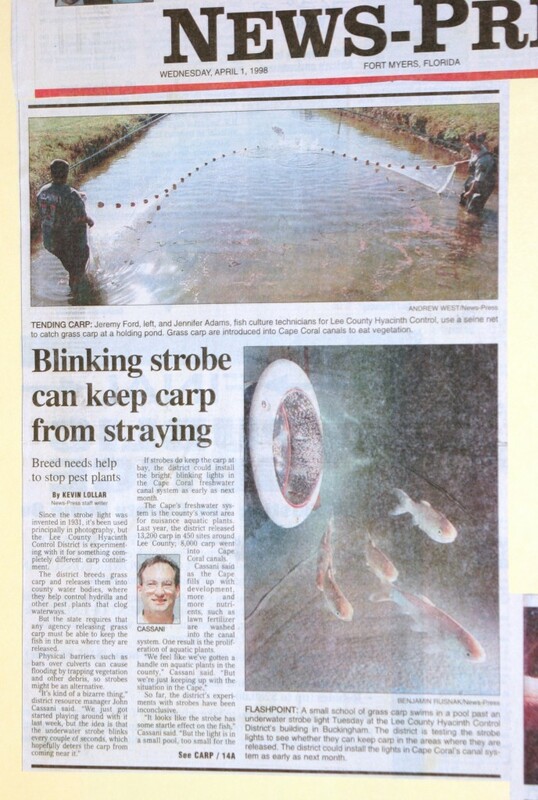 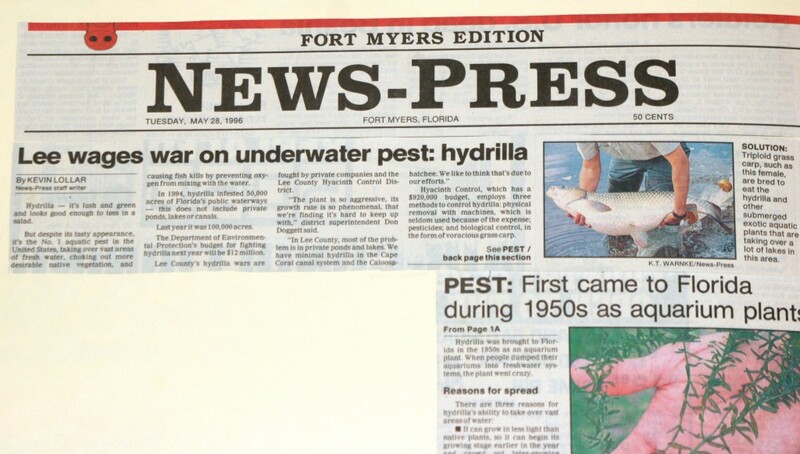 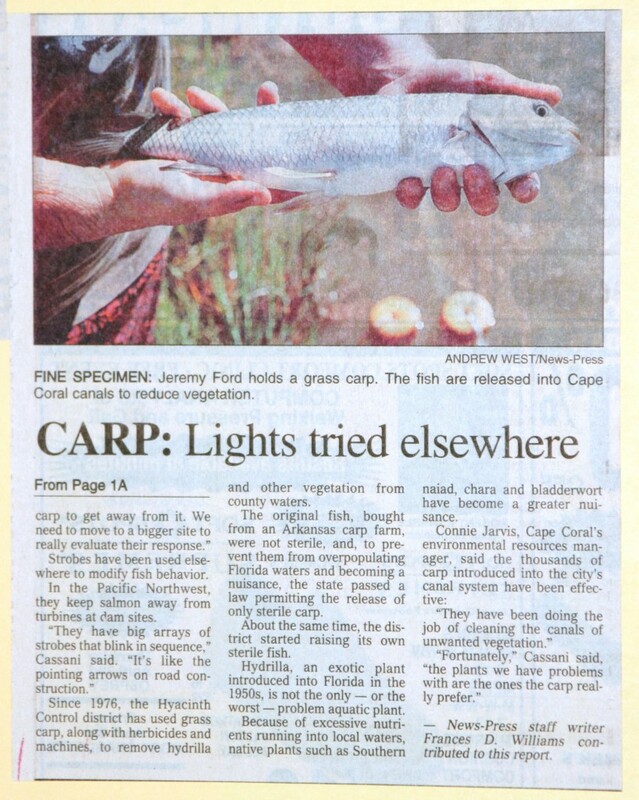 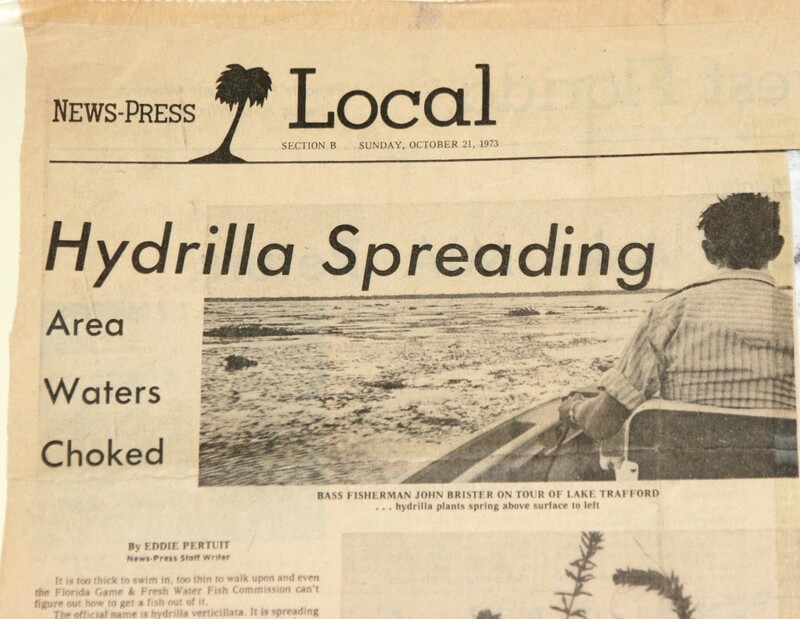 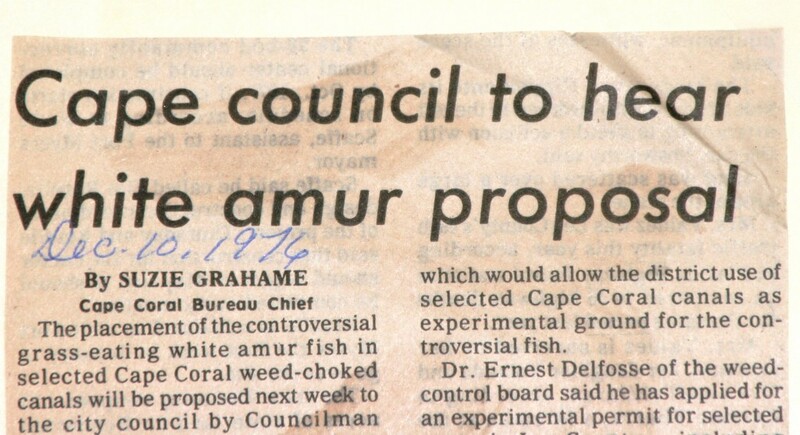 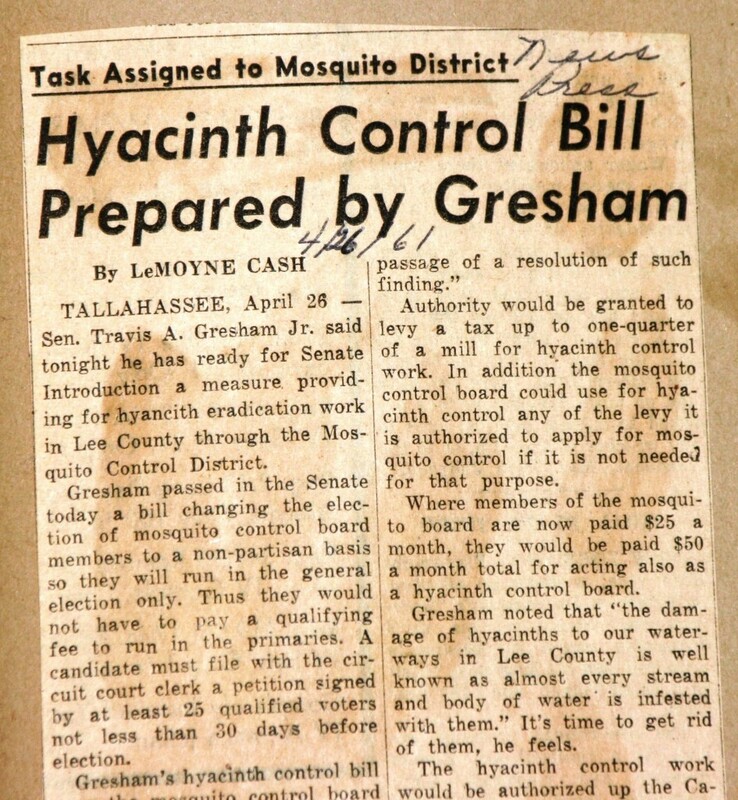 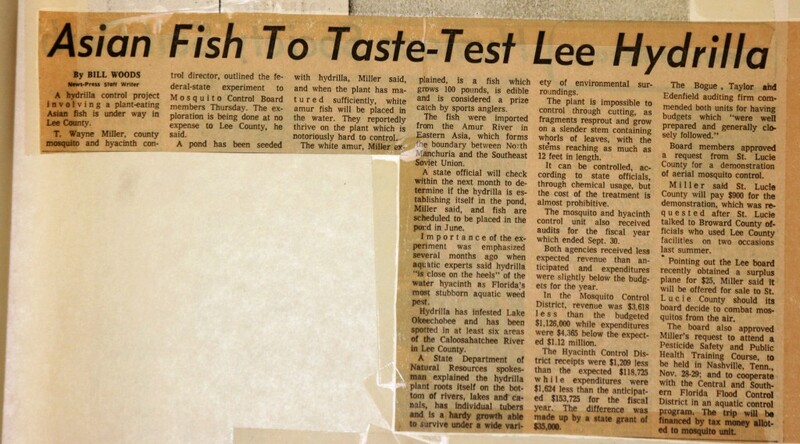 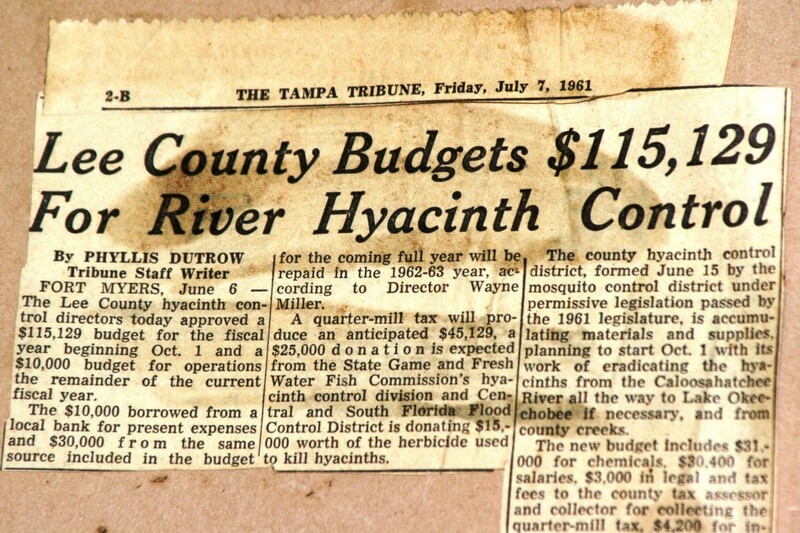 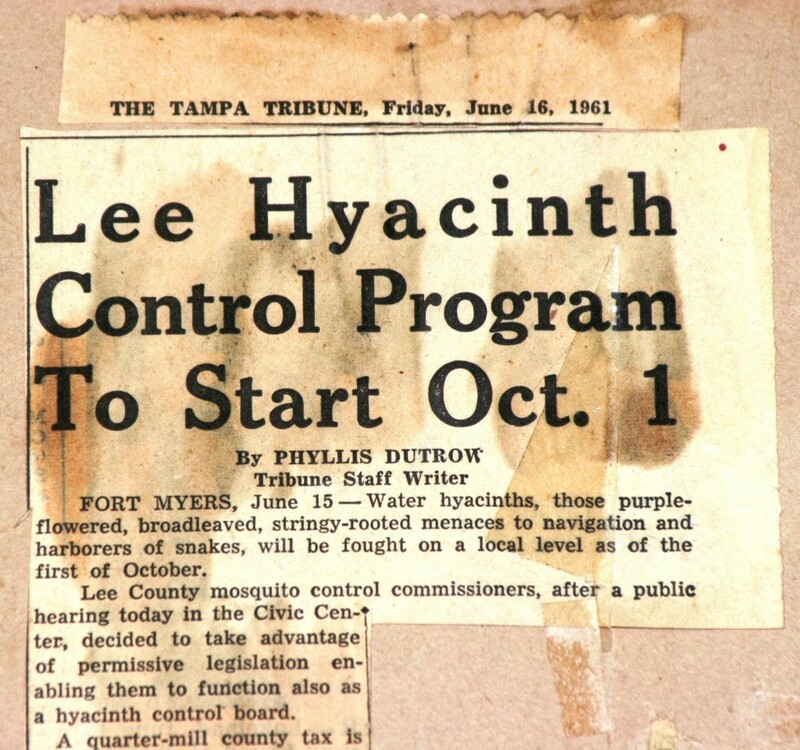 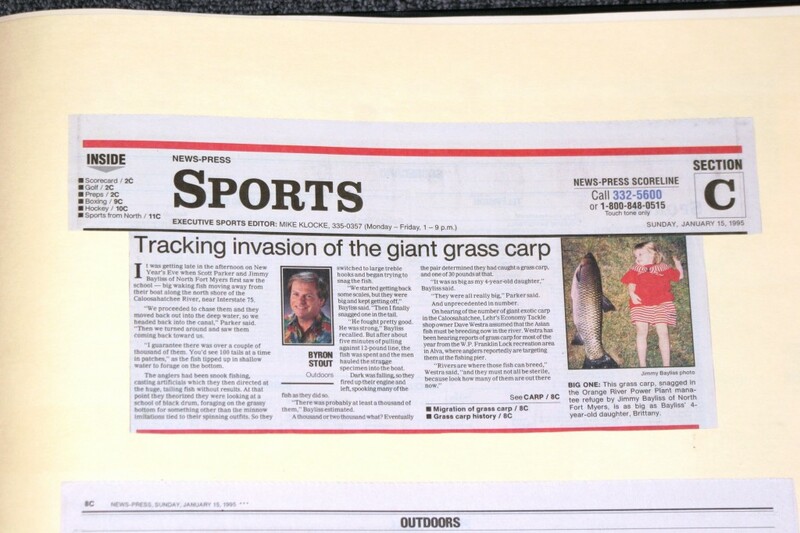 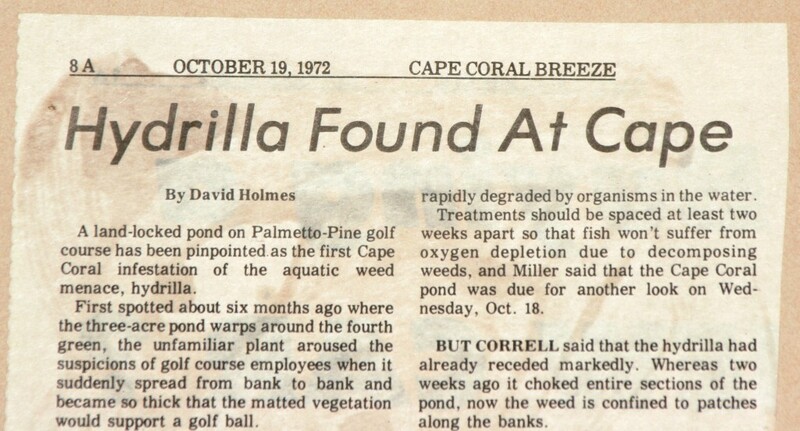 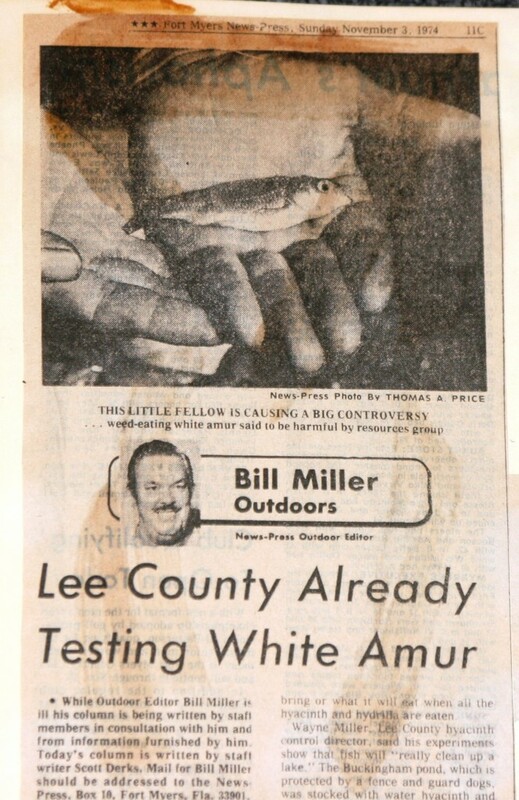 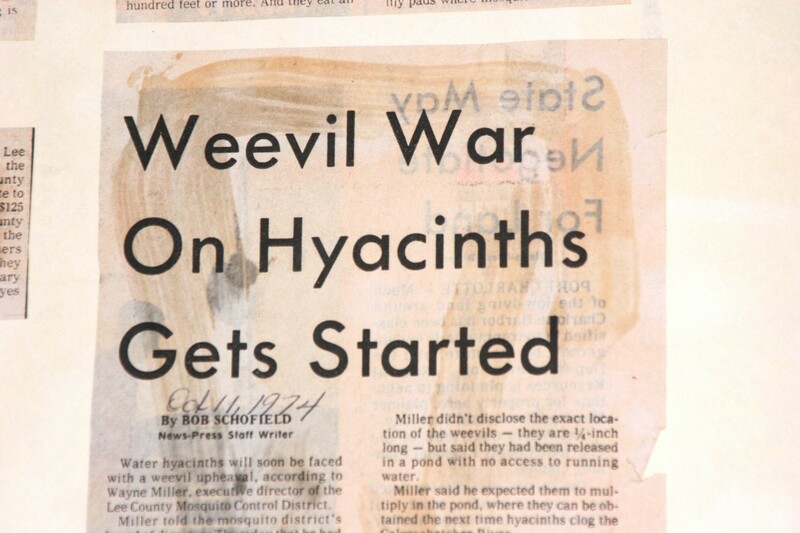 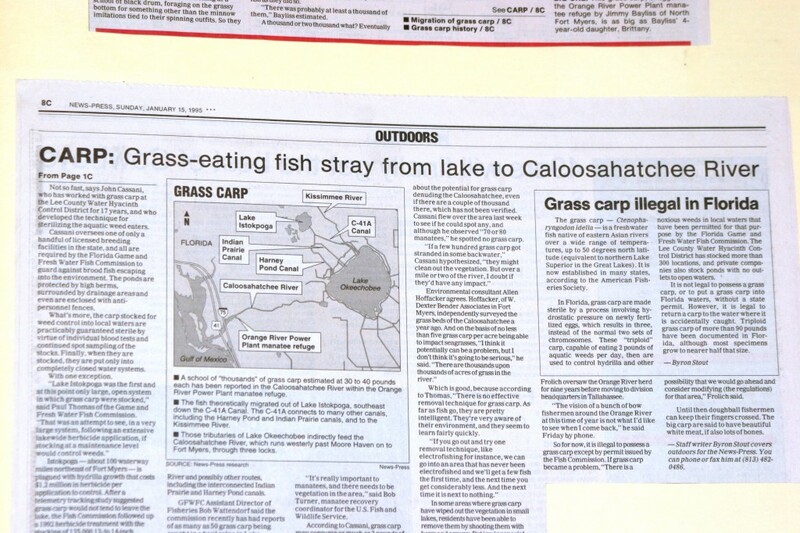 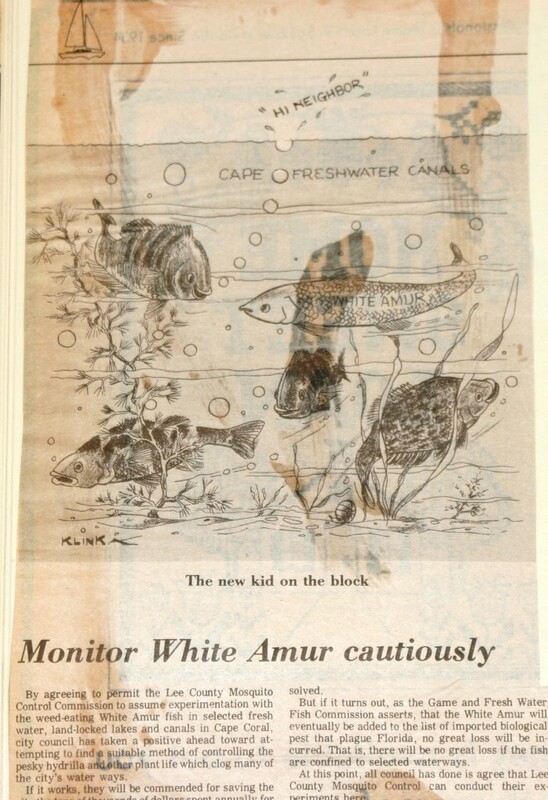 Recognizing that something must be done to combat this nonindigenous aquatic plant species, the Lee County Hyacinth Control District was formed by an act of Florida Legislation on June 12, 1961. 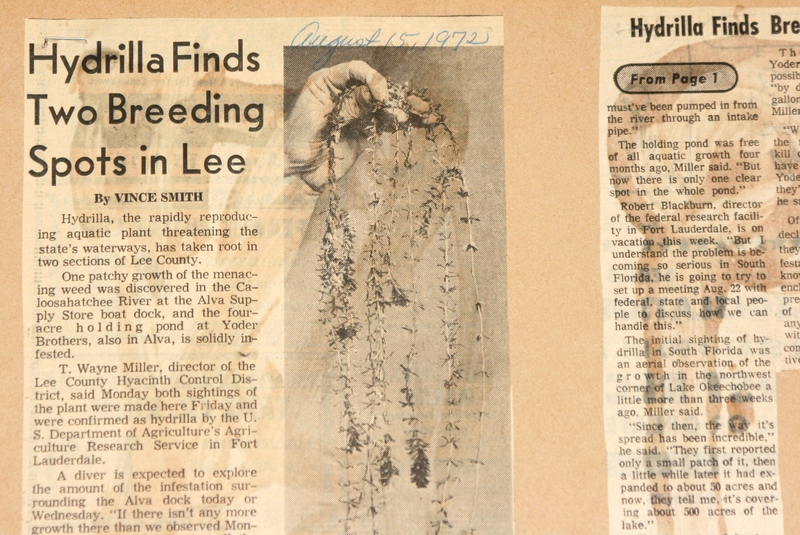 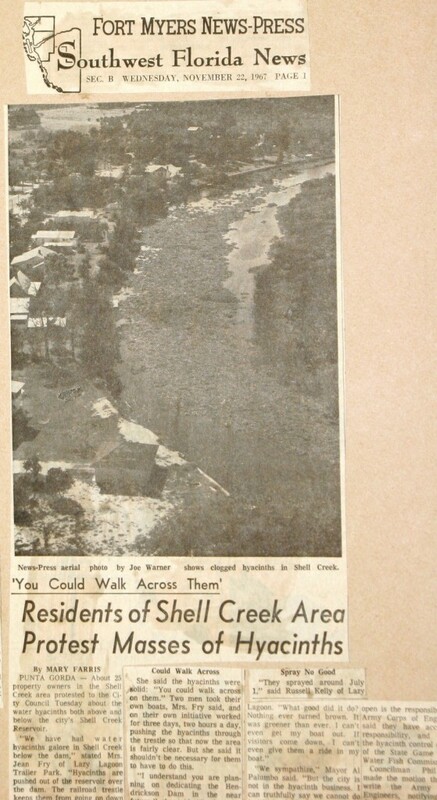 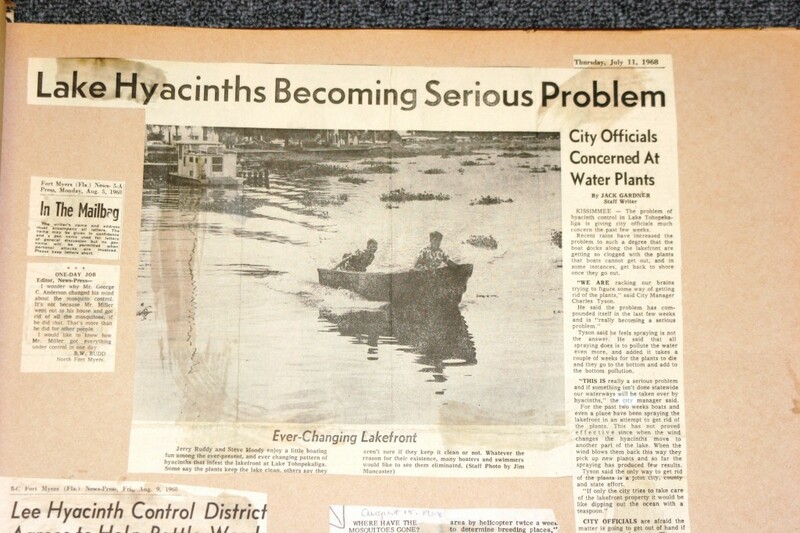 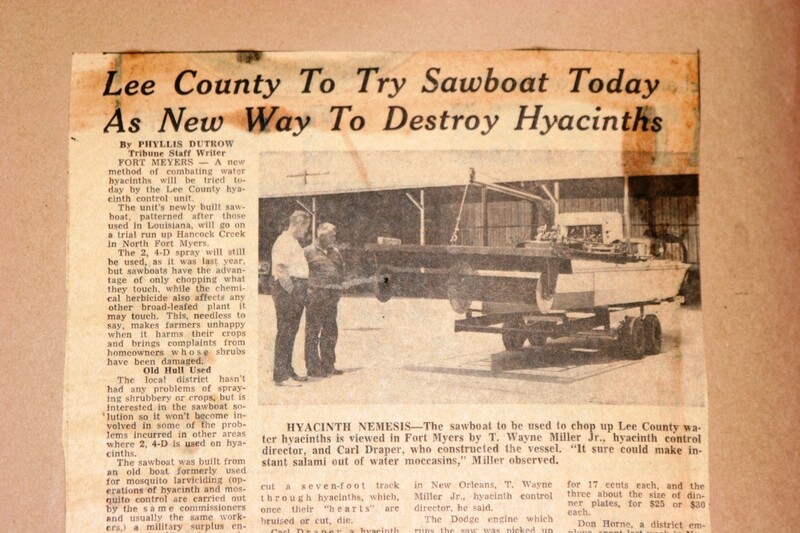 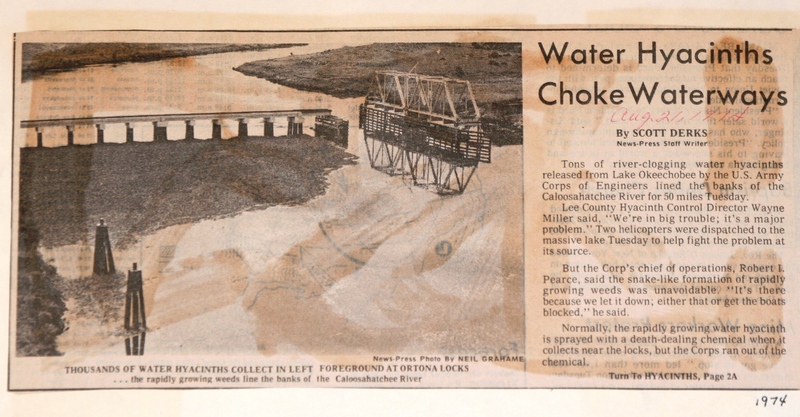 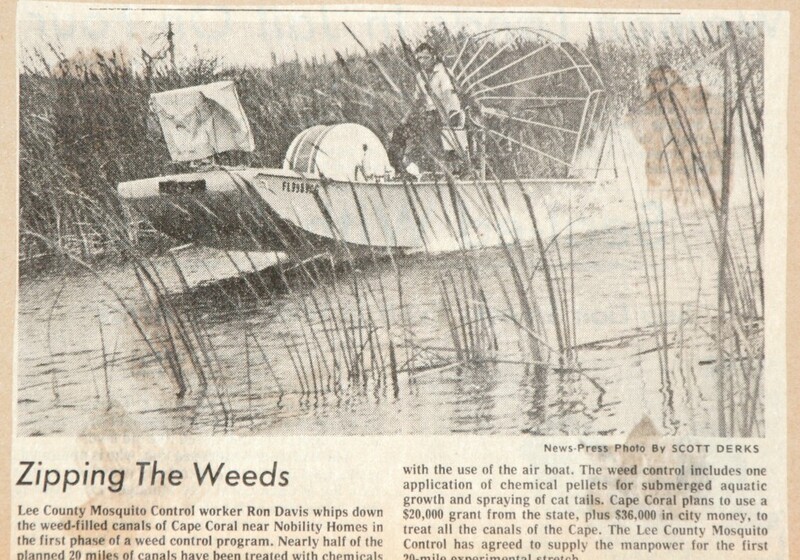 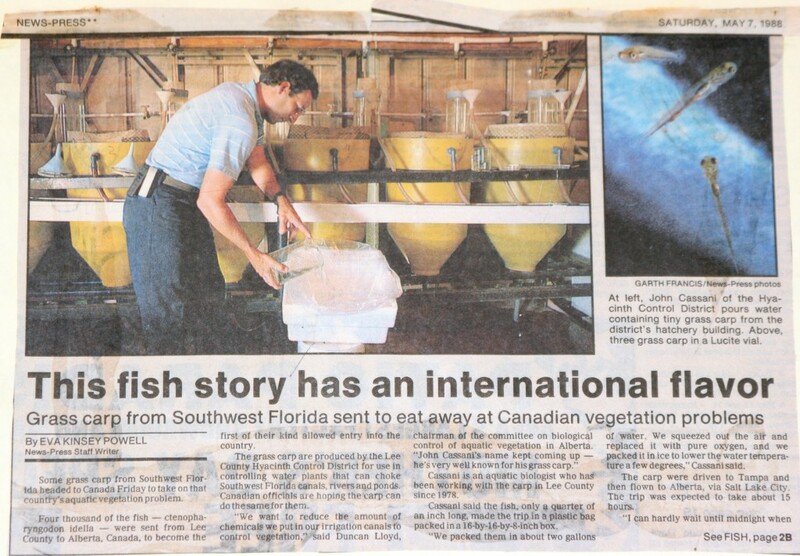 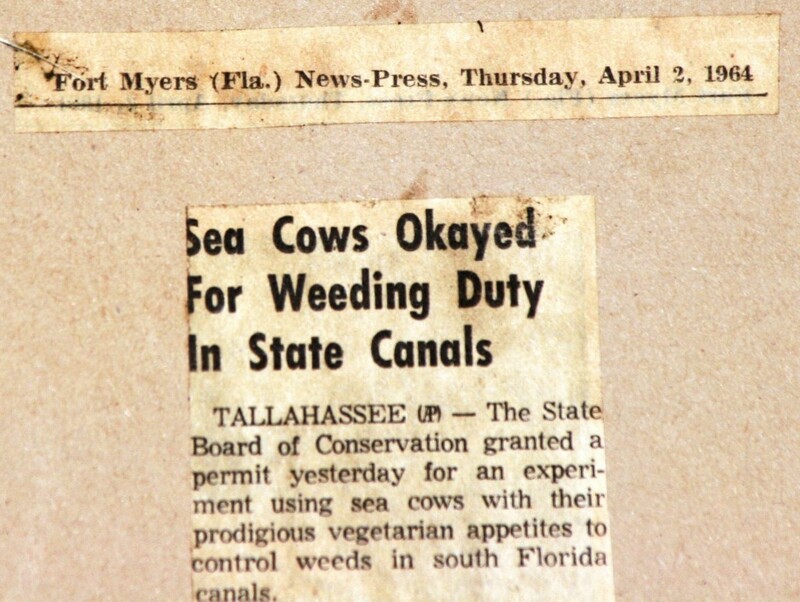 The District’s ongoing maintenance control program on the Caloosahatchee River has been successful at preventing the massive build up of water hyacinths as seen in these pictures from the past.